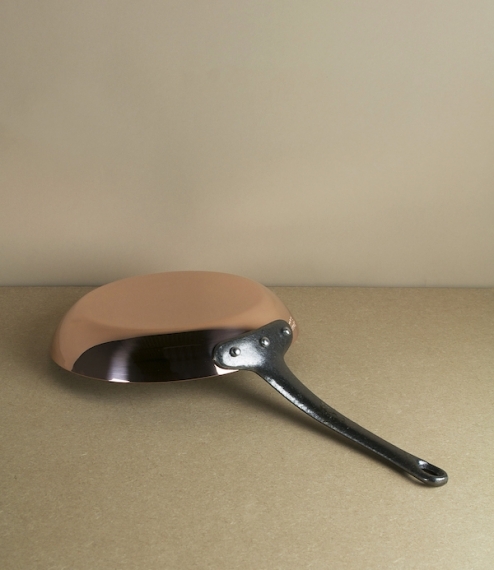 Debuyer Inocuivre First Classe frying pans with a 2mm thick 90% copper 10% stainless steel laminated construction and cast iron handles. 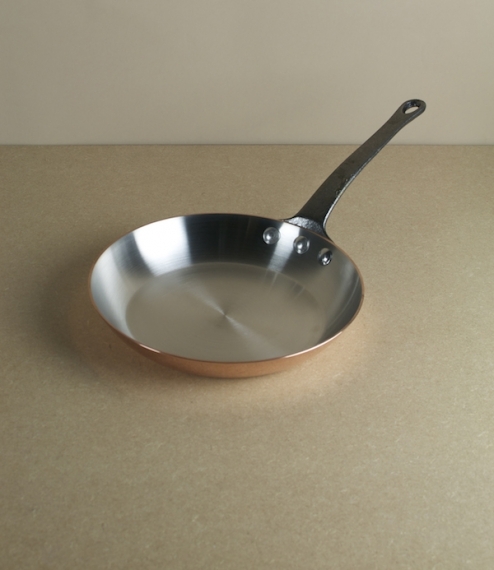 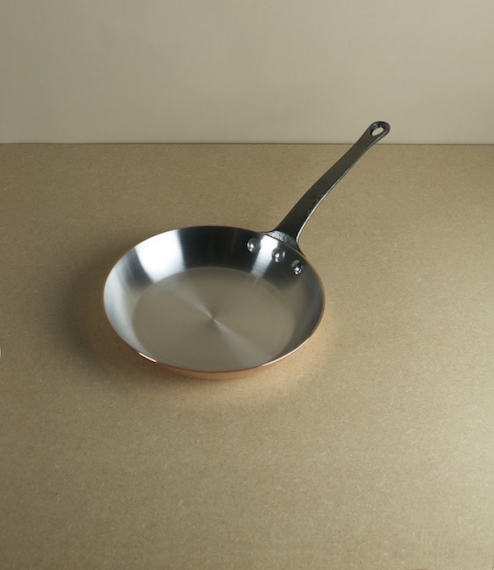 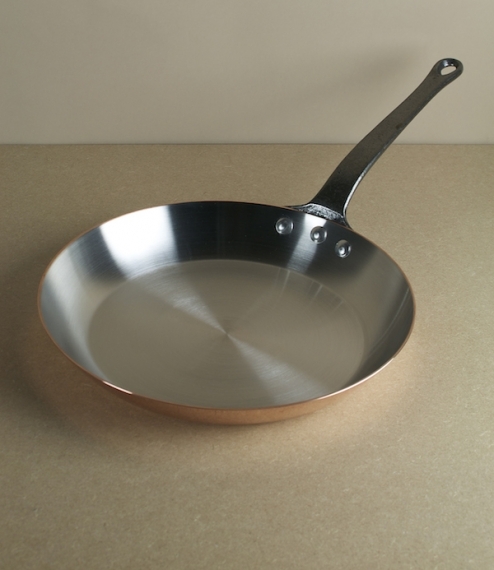 Copper is renowned for its conductivity giving a more even and responsive heat than any other material, whilst the stainless steel lining allows for easy cleaning, and gives a more robust, scratch resistant surface than the traditionally used tin. 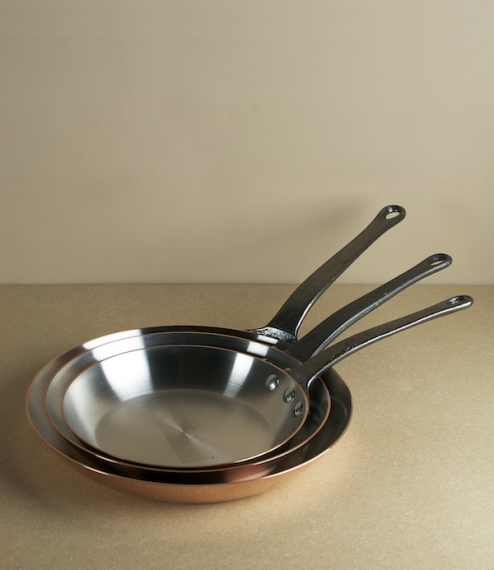 Not suitable for dishwashers, and it should be borne in mind that the copper will naturally discolour in use (but can be polished back to its original lustre) and the cast iron handles can rust if left without proper drying. 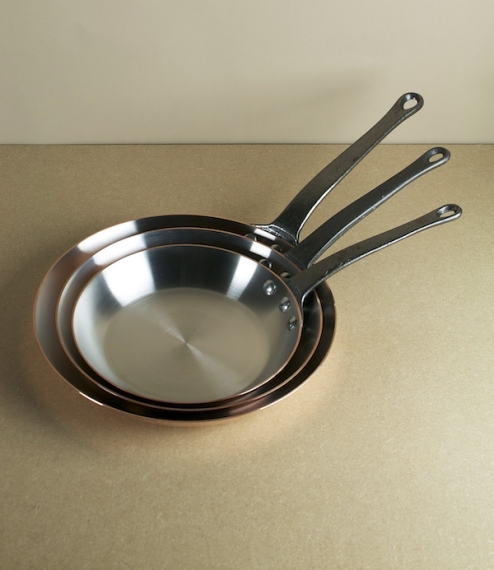 In three sizes - 22cm, 26cm or 30cm diameter across the top.